Traditional and Technical Ceramics are fast becoming the essential enabler for our modern, high performance lifestyle. Their impressive combination of properties has seen them replace metals in key areas for high-tech consumer products, demanding engineering applications and in process equipment for aggressive conditions. Ceramics offer many advantages over alternative materials, not least their excellent performance at elevated temperatures and high mechanical strengths. They are resistant to abrasion, corrosion and chemical attack, giving increased durability in extreme conditions. Compared to metals, technical ceramics are lightweight and electrically and thermally insulating. IPS Ceramics is a relatively new company but one with a long history in this industry. Established in its present form in 2009, it evolved from the merger of several leading manufacturers of high temperature ceramics, all bringing a bank of expertise. Today’s IPS team collectively boasts over 200 years of experience in ceramic technology, including design, material selection/specification and manufacturing. We can rapidly and expertly evaluate possible technical ceramic solutions for your specific application or a whole host of manufacturing, engineering and laboratory demands. IPS collaborates with other quality manufacturers in both Europe and Asia to offer flexibility in production. Our technical ceramics are formed in a variety of ways, typically by extrusion, injection moulding, casting or pressing, so that components can be designed from the start to meet your specific needs. The main technical ceramics in our range are high alumina, silicon carbide, and steatite; however, recent additions include aluminium nitride and TZP-zirconia, and we can source most technical ceramic materials if you have a particular requirement. IPS Ceramics is also very well known around the world as a major supplier of kiln furniture systems based on mullite-cordierite materials. 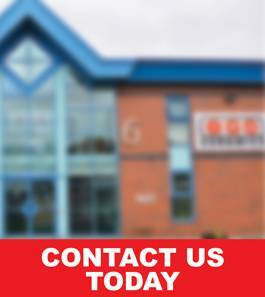 For more information on our services, please don’t hesitate in contacting a member of our team.